When linking to other web pages, many site owners ask themselves the question should links open in new tabs or windows? 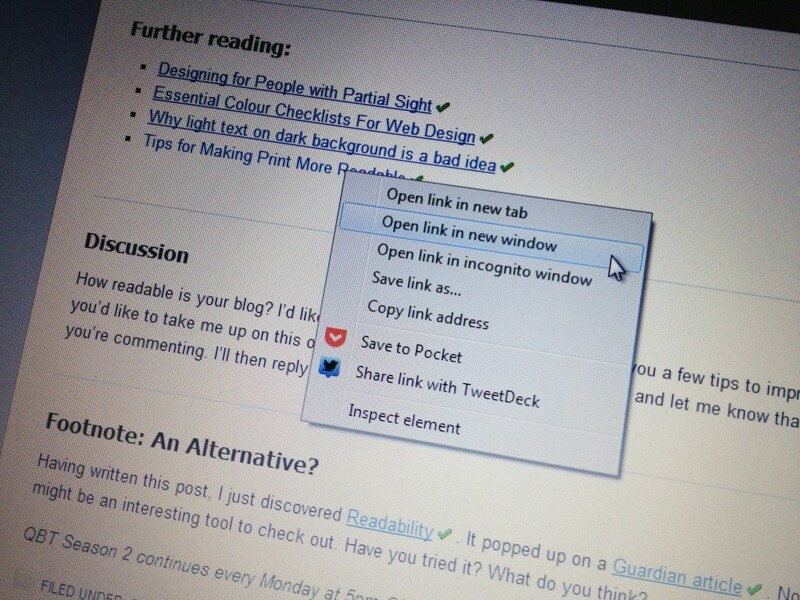 From a user experience point of view, 99% of the time links should open in the same window. The reason is that new tabs / windows can annoy the visitor as you are changing their browsing experience – they can’t hit the back button and you may clutter their tabs etc – you are taking control of this, whereas if they want to open in a new tab, they could choose to do so themselves. If you are linking to a different type of doc like a supporting PDF por image, that can be good to open in a new window as well. On a mobile phone, a PDF may be annoying to have to download and depending on the layout, harder to read. In this case you may want to warn the visitor that they would be clicking to a PDF and open it in a new window as well. If you really don’t want to lose the visitor because you want to keep them on your site as a potential customer, then you may be tempted have a link open in a new window. But if you’re worried about them not coming back you might want to ask yourself if you need that link, why you can’t summarise what you’re linking to, and why they wouldn’t be compelled to come back anyway. Good further reading on the subject can be found on this post from Smashing Magazine.